Nguyen Quang Minh was born in 1970 into a family of factory workers who had no connection to the arts. 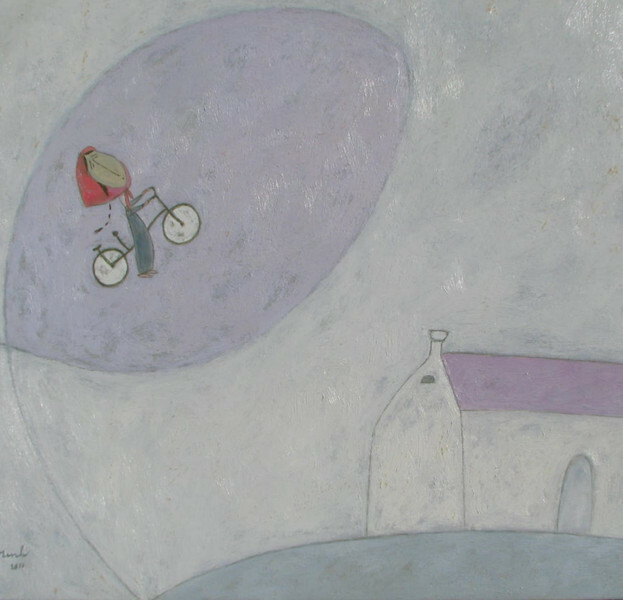 The subject matter of most of his paintings is rural life, expressed through a muted colour palate and a delicate combination of hues to create bucolic scenes that are sparse and lyrical and imbued with a serene innocence. Quang Minh employs simplified images of buffaloes, dragon flies and graceful Vietnamese “everywoman” figures which are drawn from Vietnamese cultural archetypes.